Proverbs 22:6 “Train up a child in the way he should go; even when he is old he will not depart from it. If you are a parent, you know that kids are observant. Kids know the schedules and the daily routines, even if they don’t always want to follow them. They notice when other kids have new shoes or the newest phone. They probably even know where you hide your secret stash of chocolate chip cookies! Observation plays a big part in the development of children. Often what they regularly observe translates into actions and behaviors down the road; child sees, child does. Consequently, who do children watch more than anyone else? Their parents. Teachers, coaches, friends, and classmates can all have a major impact on a child and their development, but it is the parents who most influence their young ones. A parent’s words and actions have a significant effect on their kids, and it is their example that most resonates in the mind of the child. Proverbs 22:6 teaches that we are to train our children to follow the way of the Lord so that they will not depart from the Way later in life. However, this task is not taken seriously in many Christian homes today. For many, their training is nothing more than giving their children a picture Bible and praying before eating dinner. These parents have no problem spending hours teaching the proper baseball pitching mechanics or helping their child memorize their speaking lines for the school play, but when it comes to teaching their children the things of the Lord, there is a sense of apathy. Parents, please understand this: if you are apathic in the manner in which you serve God, do not be surprised when your children reciprocate. We must teach our children how to live according to the will of God. We must teach them the laws and statutes that are given in His Word. We must teach them what it means to profess that Jesus is Lord and how every facet of our lives must reflect that allegiance to the King. Teach them when they are young, and teach them these things often. We must teach them these things and then, just as importantly, we must demonstrate what they look like. The way in which we live is just as important as the words that we teach them. The expression, “practice what you preach” is especially true in parenthood. Reading Scripture to your children every night will hold no real value if your own actions do not match what you are reading. If you tell your children that they are not allowed to watch certain movies, then you must not be watching vulgar television shows every week. Send your children to Sunday school, but then go to the adult Sunday school class yourself, instead of drinking coffee in the foyer. Make prayer and devotion an intricate part of the day and not just an activity that is easily dropped. Deuteronomy 6 and 11 exhort that we are to lay God’s words on our hearts and souls, that we are to bind them as a sign on our hands and before our eyes. But it also tells us to teach them to our children when we are at home and while we are on the road, from the moment we rise to the time when we lie down. Your children are watching. Are they seeing what it looks like to be a follower of Christ? About the author: Jacob is the youth director at Knox Presbyterian Church (PCA) in Harrison Twp., MI. He graduated from Kuyper College with a degree in Bible and Theology and is currently enrolled in Reformed Theological Seminary’s Distance M.Div. program. He and his wife are expecting twins in September. It doesn't matter how many times I say it, it needs to be repeated until it pierces the Christian masculine soul: Under normal circumstances, church is not optional. It is God's fourth commandment requirement of you. Men, if you allow your wife or other circumstances dictate your faithfulness to worship God with his people, you are weak and need to be rebuked. Your children (to borrow Peterson's language) will grow to be annoying to you if you do not invest in them now. Love. Care. Spend time. Read. Play. Hug. Kiss. Instruct. You won't be annoyed with your future children when you invest in the present. Don't just "date night your wife," but kiss her, love her, write to her, romance her, cook for her, and make her job at home as easy as possible by making yourself useful. If you don't know what that looks like, ask her. She will tell you. Family devotions are either too boring or non-existent in the home. Secret: make them short and participatory. Men, most of you are not pastors and don't play one on TV. Don't play preacher to your kids. They will resent you. Read. If you don't read at least 3-5 books in a year, you're a poor leader in the home. "But I don't like to read!" Then get yourself an audible subscription and have at it. Pray like a man. "But I don't have a habit of praying for me or my family." Then get a copy of the "Valley of Vision" or Evelyn Underhill's "Prayer Book" on amazon. And read those and learn how to pray by reading people's prayers. Serve your church. "But I work odd hours and only have a few hours to spend with my family on the weekends." That's irrelevant. If your church has set-up to do, or if they have widows and shut-ins in need, or a host of things, there will always be time for service. And if you are concerned about not spending enough time with your kids, take them with you to serve. I guarantee you your family time in service will be doubly as profitable as just about anything you can do together. Sing God's songs together. "But I can't sing." Ever heard of youtube? Contemporary, psalms, hymns or whatever, it's all there. No more excuses, gents. Gather around dinner with a few printouts and sing something. Get together with other men. "But my wife says I am not allowed to go out at nights with my friends." Tell her it will make you a better husband if you spend time with other godly saints. Don't isolate your masculinity. On the other hand, if you don't extend the favor to your wife, you're an idiot that needs gentle but a firm rebuke. Watch good movies together. Quit isolating your styles from others in the household. A little here and there is okay, but when you have adult kids watching one thing, you watching something else and your spouse watching something else frequently, you have isolated the family from an exercise that may build healthy bonds and provide a forum for interesting conversations. Men, don't waste your leadership! For the Christians are distinguished from other men neither by country, nor language, nor the customs which they observe. For they neither inhabit cities of their own, nor employ a peculiar form of speech, nor lead a life which is marked out by any singularity. The course of conduct which they follow has not been devised by any speculation or deliberation of inquisitive men; nor do they, like some, proclaim themselves the advocates of any merely human doctrines. But, inhabiting Greek as well as barbarian cities, according as the lot of each of them has determined, and following the customs of the natives in respect to clothing, food, and the rest of their ordinary conduct, they display to us their wonderful and confessedly striking method of life. They dwell in their own countries, but simply as sojourners. As citizens, they share in all things with others, and yet endure all things as if foreigners. Every foreign land is to them as their native country, and every land of their birth as a land of strangers. They marry, as do all [others]; they beget children; but they do not destroy their offspring. They have a common table, but not a common bed. They are in the flesh, but they do not live after the flesh. They pass their days on earth, but they are citizens of heaven. They obey the prescribed laws, and at the same time surpass the laws by their lives. They love all men, and are persecuted by all. They are unknown and condemned; they are put to death, and restored to life. They are poor, yet make many rich; they are in lack of all things, and yet abound in all; they are dishonoured, and yet in their very dishonour are glorified. They are evil spoken of, and yet are justified; they are reviled, and bless; they are insulted, and repay the insult with honour; they do good, yet are punished as evil-doers. When punished, they rejoice as if quickened into life; they are assailed by the Jews as foreigners, and are persecuted by the Greeks; yet those who hate them are unable to assign any reason for their hatred. nor think without terrors of our sins, of God, or of the life to come. and to expect all your acceptance with God upon his account. I’ve recently begun reading Baxter’s monumental “A Christian Directory, Or A Sum Of Practical Theology And Cases Of Consience.” In this post I provide a quotation of a brief section in which he next lays out the road map of spiritual growth. He describes the means God gives and we must use to progress spiritually. I hope it will be a help to you, and may the Lord provide you with each of these means and the grace of His Spirit to use them cheerfully and constantly! Practicality is in rather short shrift as of late. The first volume of Mastricht’s work stands in stark contrast to this; pure, practical, and prudent. In an age lacking practical wisdom, Mastricht encourages us to take up and read. That this however, was a judgment of charity, which must indeed be the rule for our attitude toward these children but cannot claim to be infallible. You have been recreated by the grace of the Spirit in Jesus Christ to live for God in the doing of good deeds—living in a way that pleases him. All objections and excuses must fade away in light of this truth, and we must be convinced that as Christ came to do the Father’s will, so he leads us forward in life as his new creation to do the same. Good works manifest the love of God to him and our neighbors. Good works are the imitation of Christ by the Spirit. What: An easy to used daily Bible Study and podcast that goes through the Bible one chapter at a time, following the M’Cheyen reading plan. It is simple in expression but theologically sound. You can subscribe via email or follow along on the blog, reading one chapter of the Bible at a time, or the whole M’Cheyen plan. In light of some recent online controversy surrounding the place of good works in the lives of Christians, I am engaged in this series of posts with the aim of encouraging zealousness (rather than mere theological debate) for good works. In the previous post, I began to discuss what we mean by “good works” by attempting to clear out some misconceptions. This post turns in a more positive direction, seeking to answer the question more directly—soon enough we will be on to examining excerpts from historic Reformed preaching and writing. But first, what are good works? I was struck then by A. W. Pink’s old explanation of the necessity of repentance. In the passage below he shows his concern over similar problems that Piper and representatives of the historic Reformed tradition are addressing: the necessity of sanctification, repentance, and good works is a pressing need for our lawless day, but some in our own circles not only sound an uncertain sound, they actually often actively fight against these biblical and necessary emphases. Updated October 19, 2017: This is an index of some of Mark Jones’ excellent posts on justification, sanctification, good works, merit, and future judgment. These posts address aspects of these doctrines in light of current controversies, past wisdom, and confessional standards. 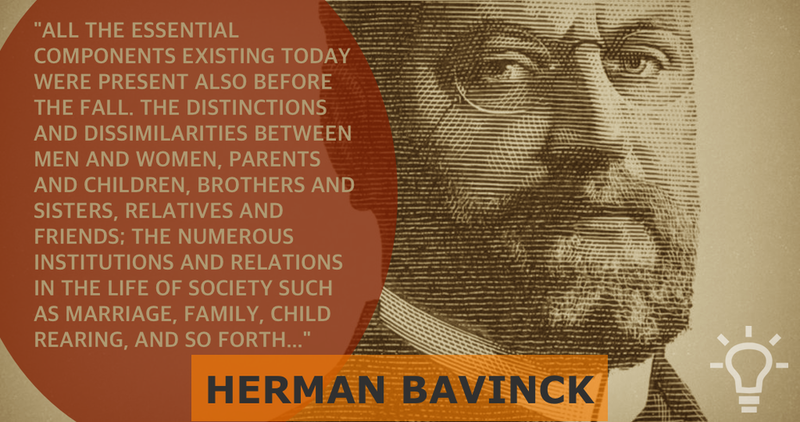 Herman Bavinck outlines the passages where Christians are warned and threatened against falling away, and are called to persevere in Christ, his word, and his love. Bavinck argues that these threats are used by God to motivate the willing perseverence, a perseverence that he has guaranteed in our regeneration and is not undermined by these threats. 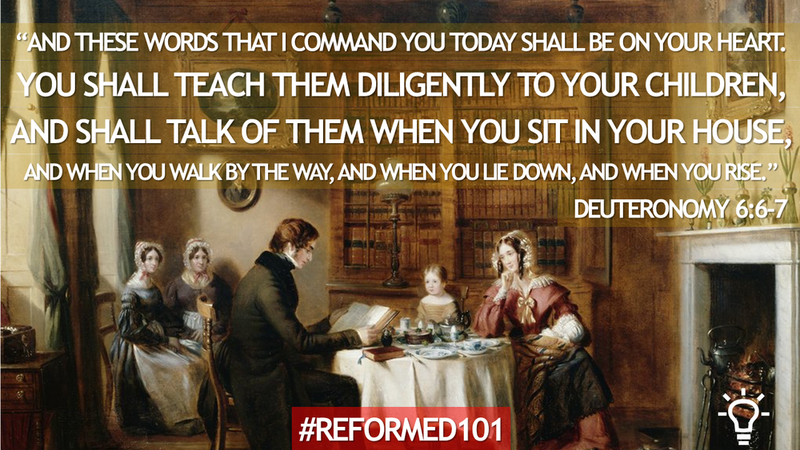 This post is the first in a series designed to encourage good works by providing excerpts from Reformed preaching and writing. But, before we get started, I think it is important to ask why this even matters... This post seeks to provide some biblical reasons we as Christians should we make a study of good works.